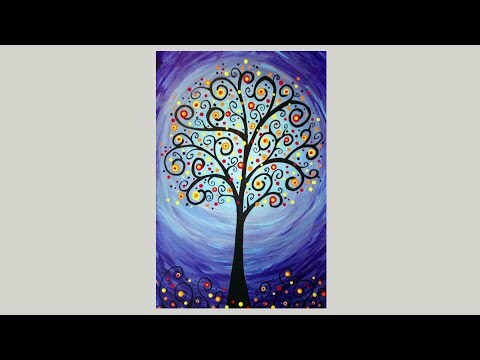 Whimsical autumn tree acrylic painting tutorial using a doodle and dot style. I love painting these sweet little trees. I’ve painted these trees many times on different backgrounds and using complimentary and contrasting colors! Try this easy painting! See below for LIST of SUPPLIES.